Creating has always been second nature to me. I worked retail in college while studying Art History. I soon combined the two, running an Etsy shop for custom painted and embroidered shoes and wearables. After working full time as a Creative Director for a women's boutique, I realized my true passion was in the art of the Handmade. As in art, one project leads to the next and I began decorating and embellishing the cow skulls. With Rose & Royce I can combine all my creations in one place for modern bohemian art and accessories. I love knowing someone can enjoy my creation. I love fashion. The art of combining pieces to create an entire look is a lot like creating something handmade. You might have to try a few things before you get the combination that feels right to you. But in the end, there is no wrong answer. I am also endlessly inspired by the colors, textures, and patterns in fashion. Each piece from Rose & Royce is one of a kind. The accessories are all handmade, hand embroidered, or hand painted. I source a lot of fabrics, threads, trim and beading from thrift stores creating something new from something old. 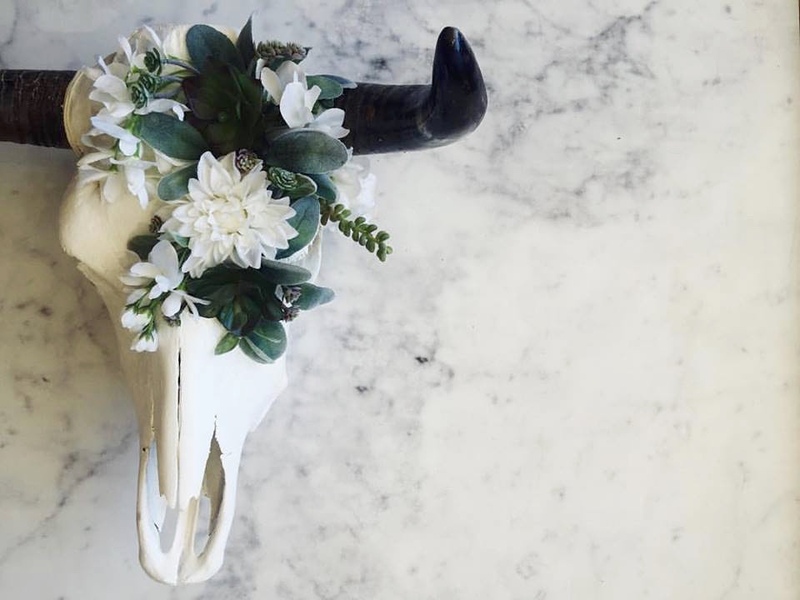 Similarly, the cow skulls are all authentic, sourced from Mexico. Each cow has it's own uniqueness from the horns to the shape of the skull. The cows get a second life as art in their new homes! I am excited to bring a variety of goodies to Jackalope. 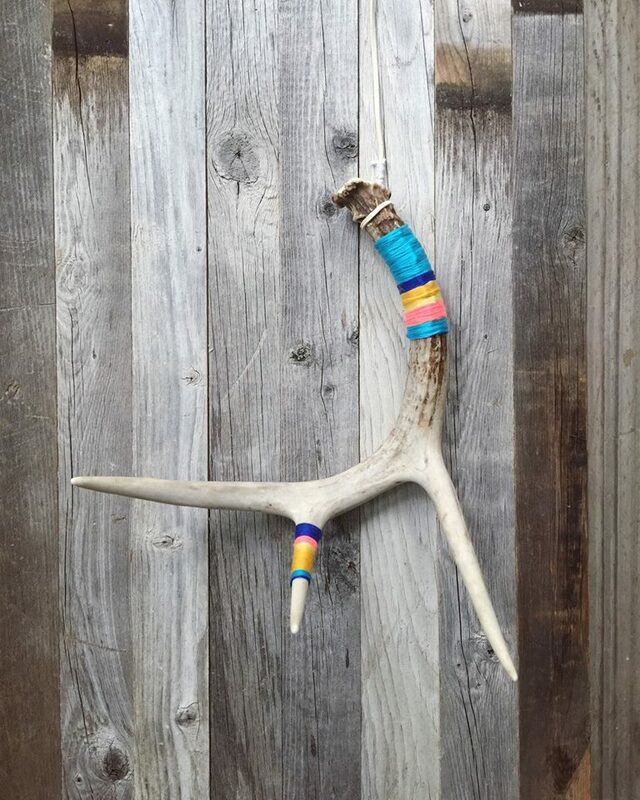 I will have the hand decorated cow skulls, mini resin skulls (if you can't commit to a big guy), wrapped antler sheds, dream catcher wall hangings, hand sewn clutches and purses, as well as fun boho Christmas stockings and ornaments!